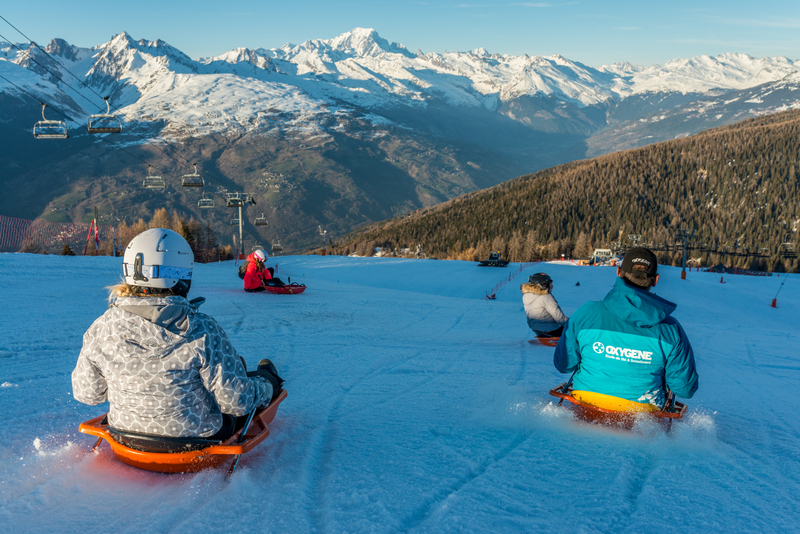 Take a 450 meter descent, 6 kilometres and 30 state-of-the-art Superluge Sledges, and what do you get? The Superluge Derby; an hour and a half of unforgettable après ski, Oxygène-style ! Take 450m of descent over 5km with superluge sledges and what do you get? The Superluge Derby! When the slopes shut, sledge from Aime 2000 to La Roche. Sledge, helmet, vin chaud or hot chocolate and return transport included. €30 / pers. 14 years+.